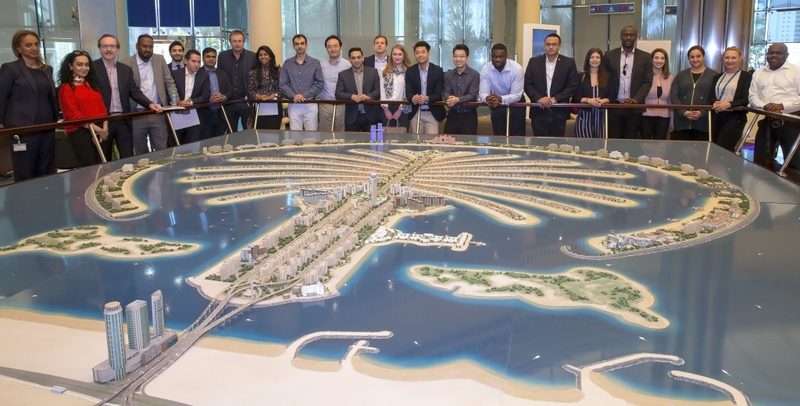 Nakheel, the master builder behind the Palm Jumeirah in Dubai, and Cass Business School, part of City, University of London, have united once again as part of the school’s executive MBA annual study tour of Dubai. It is the tenth year the partnership has taken place. Twenty students from Cass in London and Dubai visited Nakheel’s headquarters to discover how the developer’s past, present and future projects play a continual key role in realising the emirate’s vision. The students were hosted by Nakheel’s delegations and tourism team, which welcomes around 4,000 global visitors – including government officials, architects, tour operator and students – every year for presentations and tours of Nakheel’s key projects. Nakheel has been on Cass Business School’s agenda since the university opened its Dubai campus in 2007, with formal, annual visits established in 2010.